Apple and IBM announced this afternoon that the two tech giants have entered an exclusive partnership to “transform enterprise mobility.” The pair will utilize the market-leading strengths of each company to bring about a whole new class of business apps to iPhone and iPad. At the end of every year, IBM Research publishes its annual “5 in 5″, basically a list of five technologies that computer scientists believe will make the most impact in the next five years. Some of the past predictions that came true include a 2006 notion that we’d be bale to access healthcare remotely and use real-time speech translation. More often than not, however, these technology picks are merely entertaining guidelines and food for thought. In the 2012 edition, IBM’s research arm calls for smartphones and computers with a sense of touch unlike any you’ve experienced before. Our gizmos will understand images and be more aware of their surroundings while providing a wide range of output via sensory and cognitive technologies, enabling, for example, the smell or taste of food. 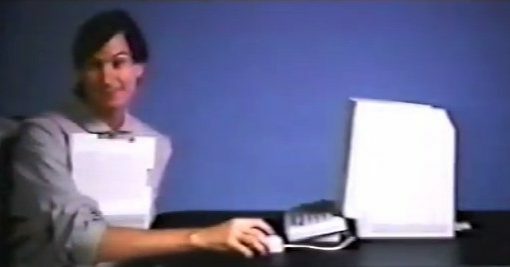 Remember Apple’s ‘1994’ corporate video with Jobs impersonating Franklin Delano Roosevelt we told you about last week? Apparently, not everyone liked it so here’s a different one from the depths of the web archives, also sporting brief Jobs cameo appearance. The way we think of our electronic gear is amazing. We all want the latest and greatest as soon as possible and certainly as cheap as can be. However in order to get that accomplished it just so happens to take some unusually disturbing realities that some people call life. I’m not holier than thou, in fact I own multiple devices from the very factory of focus here. Business Week took a visit of the place where our iPhones are built. 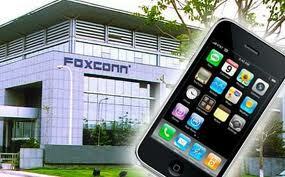 They wanted to see how Foxconn headquarters were doing after their unpleasant suicide issue.